How the President, Israel, and the Gulf states plan to fight Iran — and leave the Palestinians behind. In response to the violence in Gaza, the Gulf states issued ritual denunciations and support for the Palestinians, but Israeli officials regarded the language as unmistakably bland, similar to their reactions to the Jerusalem decision. 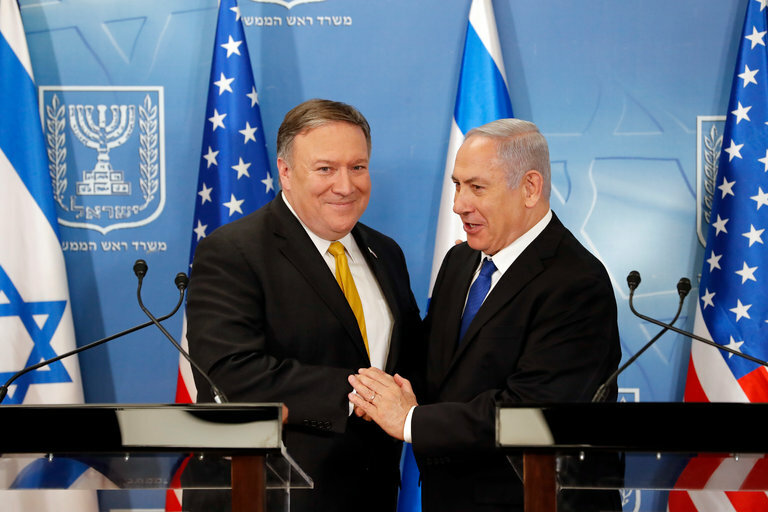 That their emphasis had shifted away from the Palestinians and to the specter of a confrontation with Iran was obvious. On the afternoon of December 14, 2016, Ron Dermer, Israel’s Ambassador to the United States, rode from his Embassy to the White House to attend a Hanukkah party. The Obama Administration was in its final days, and among the guests were some of the President’s most ardent Jewish supporters, who were there to bid him farewell. But Dermer, like Prime Minister Benjamin Netanyahu, did not share their sense of loss. For the Israeli leadership, the Trump Presidency could not come soon enough. Netanyahu believed that Barack Obama had “no special feeling” for the Jewish state, as one of his aides once put it, and he resented Obama’s argument that Israel’s treatment of the Palestinians was a violation of basic human rights and an obstacle to security, not least for Israel itself. He also believed that Obama’s attempt to foster a kind of balance of power between Saudi Arabia and Iran in the Middle East was naïve, and that it underestimated the depth of Iran’s malign intentions throughout the region. Israel’s colonization began when the 19th-Century Zionist movement aspired to build an exclusive homeland for Jews in Palestine. June 5, 2018, marks the 51st anniversary of the Israeli occupation of East Jerusalem, the West Bank and Gaza. 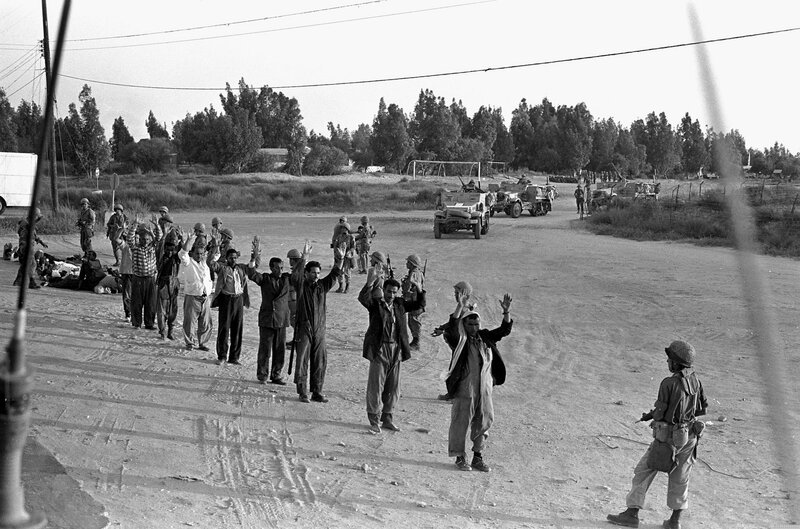 But, unlike the massive popular mobilization that preceded the anniversary of the Nakba — the catastrophic destruction of Palestine in 1948 — on 15 May, the anniversary of the occupation is hardly generating equal mobilization. The unsurprising death of the “peace process” and the inevitable demise of the “two-state solution” has shifted the focus from ending the occupation per se to the larger, and more encompassing, problem of Israel’s colonialism throughout Palestine. 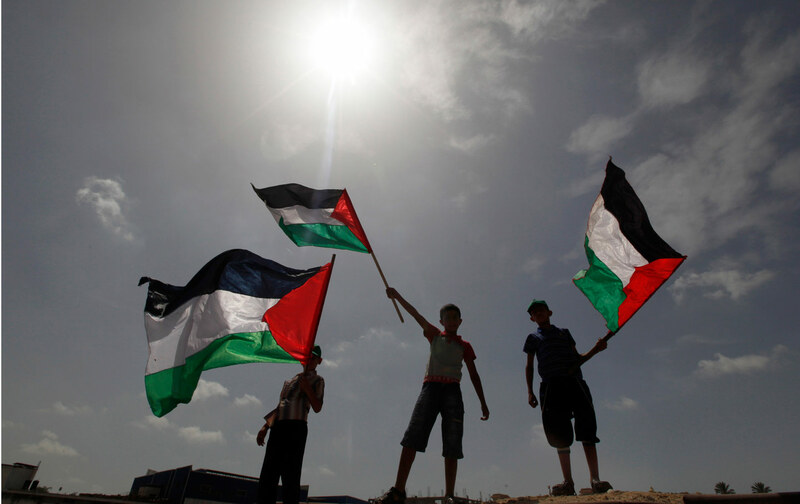 Grassroots mobilization in Gaza and the West Bank, and among Palestinian Bedouin communities in the Naqab Desert, are, once more, widening the Palestinian people’s sense of national aspirations. Thanks to the limited vision of the Palestinian leadership those aspirations have, for decades, been confined to Gaza and the West Bank. In some sense, the “Israeli occupation” is no longer an occupation as per international standards and definitions. It is merely a phase of the Zionist colonization of historic Palestine, a process that began over a 100 years ago, and carries on to this day. . . .
Seventy years after the Nakba, Israel has not succeeded in erasing Palestine — or the Palestinians. After seven decades of attempting to replace one people with another, Zionism faces the unsustainability of such a project in the 21st century. . . . It is losing that battle today, which is a cause for optimism for those who seek peace with justice for Palestinians and Israelis. With the replacement of Palestine by Israel and the expulsion of most of its Arab population in 1948, it appeared that the Zionist dream had become a reality. A Jewish state had arisen, and there was no competing Palestinian state; ethnic cleansing had produced a massive demographic transformation, and the land of all those “absent” Arabs could be appropriated. 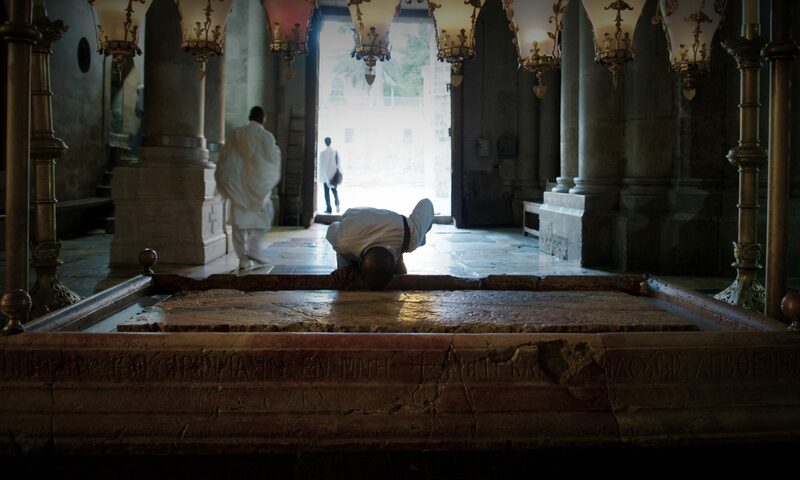 The Zionists’ hope and expectation was that the refugees would simply disappear, and even the memory that this had been an Arab-majority country for more than a millennium could be effaced. As Golda Meir put it, “There were no such thing as Palestinians. . . . They did not exist.” It seemed that the colonial-settler ideal had been realized: The natives were gone, there was plenty of space, their beautiful stone houses could be repurposed, and their “khummus” could be rebranded and mispronounced. US Ambassador to Israel David Friedman is advocating for having the embassy in Jerusalem subsume the consulate in East Jerusalem. For decades, the East Jerusalem consulate has operated differently than almost every other consulate around the world. Rather than reporting to the US Embassy in Israel, it has reported directly to the State Department in Washington, giving the Palestinians an unfiltered channel to engage with the US government. 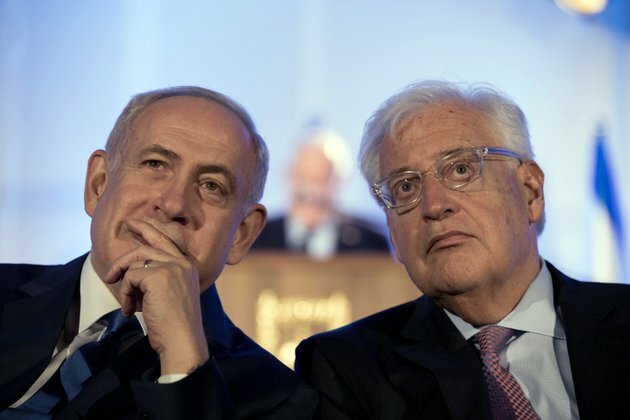 President Donald Trump is considering giving US Ambassador to Israel David Friedman more authority over the US outpost that handles Palestinian affairs, five US officials said. Any move to downgrade the autonomy of the US Consulate General in Jerusalem — responsible for relations with the Palestinians — could have potent symbolic resonance, suggesting American recognition of Israeli control over east Jerusalem and the West Bank. And while the change might be technical and bureaucratic, it could have potentially significant policy implications. As president, Trump has departed from traditional US insistence on a “two-state solution” for the Mideast conflict by leaving open the possibility of just one state. As his administration prepares to unveil a long-awaited peace plan, the Palestinians have all but cut off contact, enraged by Trump’s decision to move the US Embassy to Jerusalem. The Palestinian foreign minister asked the International Criminal Court to open an immediate investigation into alleged Israeli crimes committed against the Palestinian people. Although Israel is not an ICC member, its citizens can be charged by the court if they are suspected of committing grave crimes on the territory or against a national of a country that is a member. The ICC has recognized Palestine as a member. Accusing Israel of systematic crimes, including apartheid in the occupied territories, Palestinians on Tuesday urged the International Criminal Court to open an investigation that could ultimately lead to charges against Israeli leaders. The referral seeks an investigation into Israeli policies in the West Bank, east Jerusalem and Gaza Strip since Palestine accepted the ICC’s jurisdiction in 2014, Palestinian Foreign Minister Riad Malki told reporters in The Hague. This includes Israeli settlement policies in the West Bank and east Jerusalem, as well as bloodshed in the Gaza Strip. 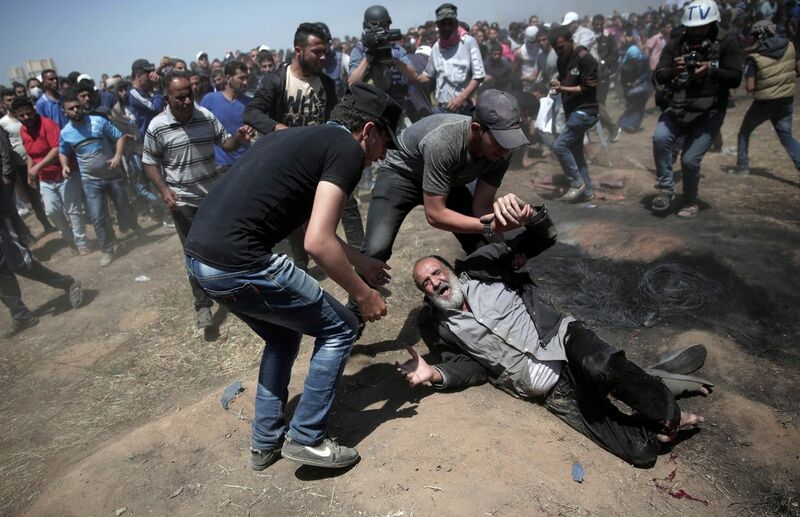 Israel and Gaza’s ruling Hamas militant group fought a 50-day war in 2014, and in recent weeks, Israeli fire has killed over 100 Palestinians during mass protests along the Gaza border since March. As an American Jew, I feel compelled to speak the unspeakable: It is in Jewish best interests, morally and pragmatically, to rethink the notion of Israel as a Jewish state. Imagine what a new Israel could be, an Israel for all peoples. If all the young lives, Jewish and Arab, cut short by this violence could instead be harnessed to irrigate the desert, desalinate the sea, create music and translate love poems into each other’s (very similar) languages! Now that would be an Israel to inspire the world. Nineteen years ago, I rehearsed a play with Israeli and Palestinian teenagers at Seeds of Peace International Camp in Maine. Forging a script both sides could stand behind took perseverance. But at our cast party, Arabs and Jews leaned on each other and sang songs. It gave me a glimpse of what could be. I contrast that hopeful moment with the appalling news coming out of Israel and Gaza. While Ivanka Trump, Jared Kushner and Benjamin Netanyahu celebrated the opening of the U.S. Embassy in Jerusalem, Israeli forces were firing on (mostly unarmed) Palestinian protesters gathered along the fence between Gaza and Israel, killing at least 60, and injuring more than 2,000. Israel defends its response, claiming that the demonstrators were trying to breach the border. But the absence of any casualties on the Israeli side proves the response was grossly disproportionate. This is not an isolated incident, but an ongoing saga since 2007, when Israel imposed a blockade on Gaza following Hamas’ election victory. Nearly 2 million Gazans are squeezed into a virtual prison one-ninth the size of Rhode Island. Israel and Egypt control the borders and access to water, fuel, medical supplies and electricity. It doesn’t take a leap of logic to see that Gaza has become a concentration camp, and the demonstrations at the border are a desperate response to a humanitarian crisis. Israel has been distancing itself from democracy, a credit to the awareness brought about by BDS, which is asking for nothing more “radical” than human rights. Granting Palestinian refugees the Right of Return, guaranteed by the Universal Declaration of Human Rights. If BDS is indeed a “threat” to Israel, if it “delegitimizes” it in in any way, it is because Israel is in violation of international law. Justice is only a threat to injustice. When a majority of Palestinian civil society organizations picked BDS as the strategy for their liberation struggle, modeling it upon the South African anti-apartheid struggle, they were sending a clear message to the world that our circumstances are not unique, they are comparable to those experienced by the indigenous black Africans under the official segregation rules of the white South African government. Apartheid is officially designated a “crime against humanity,” and the comparison with apartheid, indeed the mere use of that term to describe the country that had long claimed to be a democracy, set into motion a series of seismic shocks that forever changed the discourse around Israel. Many Palestinians and their allies had long maintained that the Palestine predicament was absolutely unique. Some will still passionately argue that no other people has suffered so long, been so vilified, so dispossessed, so misrepresented. And even though nobody truly wins at Oppression Olympics, they would claim first prize. Palestinian diplomats in Geneva have filed a complaint against Israel for what they say are breaches of its obligations under a UN anti-racism treaty, triggering what may be a lengthy and high-profile investigation. Violations in the occupied territories, which the complaint defined as the West Bank, Gaza and East Jerusalem, sought to maintain “a Jewish demographic majority in the entirety of historic Palestine,” claims the 350-page document, of which the Guardian has seen a summary.